The importance of posture and understanding your position of the trunk is critically important. Everything starts at the core. More and more research points to injuries, not just in the lower back, but in the knee, the hip and, even injuries to the shoulder and the elbow are related to core strength. To combat those problems, we’ve developed the Perfect Practice Level Belt. It’s a small device that slips into a soft exercise belt and sits on a patient’s lower back. Then, as patients do certain activities, like exercise or go through rehabilitation, the device constantly measures their posture and beeps when they are out of line. That’s important, because the more upright we are, the more we build core strength in the muscles around our stomach and lower back. By using the Level Belt as part of your physical rehabilitation and therapy regimen, you’ll find your patients are more aware of their body’s position and, because of that, they will build core strength faster and ensure they’re using good body position during therapy exercises. An additional benefit of using the Level Belt if you’re a physical therapist is you may be eligible for higher financial reimbursements from insurance companies. The Perfect Practice platform enables you to manage patient exercise routines and track their performance over time. You will be able to get better therapy routine compliance and produce reporting required to get higher medical reimbursements. 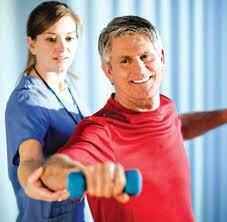 Contact us to discuss how to make your physical training and rehabilitation practice perfect!